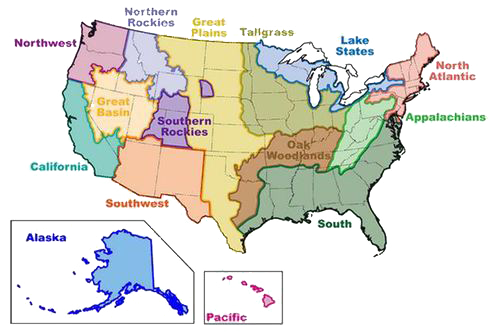 A ranch-level model using state-and-transitions models for three ecological sites is used to determine the trade-offs of providing various ecosystem services. The hypothetical ranch is located in northern Colorado and is based upon area average ecological site characteristics and livestock production practices. Management decisions include stocking rate and brush control. The model includes exogenous factors such as precipitation and fire. The model solves for optimal decisions over an infinite planning horizon using stochastic dynamic programming. Results show that a ranch cannot provide all ecosystem services in tandem at their highest level, implying that land managers must decide which ecosystems service they want to provide. Also, it is much cheaper in terms of foregone profitability for a ranch to continue to provide a specific ecosystem service that is already provided by the ranch rather than try to transition the ranch to a new ecological state in order to provide a service currently not provided.